5 December, Sanford, Florida MyCuts, one of the best salon manager apps for iOS, can now send client text messages! 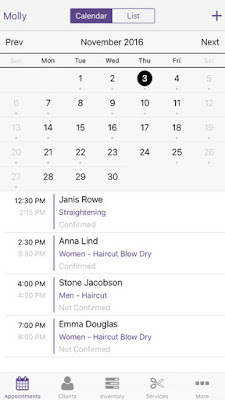 MyCust was introduced back in 2013 and since then it has hundreds of daily users that manage their salon through the app. 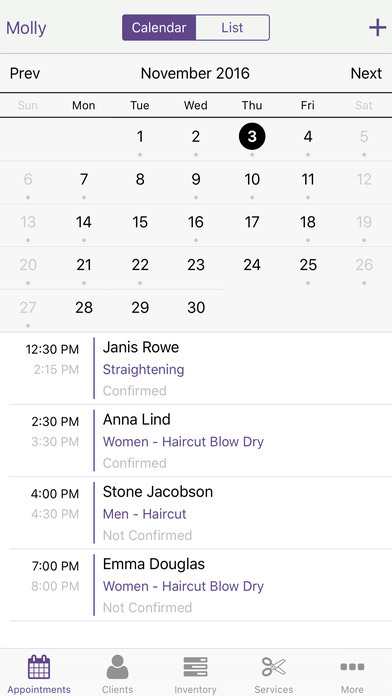 The unique salon manager saves time booking appointments and tracking inventory. “MyCuts has included client email notifications, and this has been a valuable feature for our customers. However, we all know that texting has become a primary way of communication. Especially communication between Stylists and their Clients. In light of this, MyCuts now can send appointment confirmations and reminders via text to clients. This feature can be turned on in addition to email notifications”, stated David Sanderson, founder and creator of MyCuts. MyCuts has been seriously growing as the app received more and more critical acclaim and appraisal from its users. The texting feature is just an add up to the already useful features like scheduling appointments, managing clients, inventory tracking and much more. “This is one of the most requested features from our customers. Glad we finally offered it to them as we know how crucially important it is to be able to reach out to the client through texting. We will not stop here, as we are constantly improving the app”, added Mr. Sanderson.